During the first Palestinian intifada (uprising) against Israel in 1988, renowned scholar and former Israeli intelligence chief Yehoshafat Harkabi argued in his book Israel’s Fateful Hour, that in order for Israel to sustain its majority Jewish and democratic character, Israel’s options were not between good and bad but between bad and worse. The bad option, he proffered, would be for Israel to evacuate territory and negotiate with the Palestine Liberation Organization (PLO). Israel viewed the PLO merely as an organization that perpetrated acts of terror against Israelis, rejected its right to exist and sought its destruction. The worse option would be for Israel to refuse negotiations and completely ignore Palestinian demands. In the absence of a political solution, Israel’s legitimacy would gradually erode. Over time, high Arab birthrates would also challenge Israel’s demographics, which could degenerate into a de facto bi-national state – a devastating scenario which would resemble the Balkans instead of Switzerland. Harkabi’s attitudes toward the Arab-Israeli conflict were not dovish but had matured over decades of research and analysis. His belief, which at the time was considered controversial, that as long as Israel remained in control of the West Bank, the continuity of Israel’s Jewish majority and democracy would be in peril. In the two decades which have passed since Harkabi’s analysis, Israeli-Palestinian bilateral talks failed to achieve a negotiated settlement. Irrespective of who is to blame, there are severe implications for Israel. Palestinians enjoy rising sympathy and support in the international community, by those who view their unilateral quest for statehood in the United Nations as a legitimate demand. The population explosion in the Arab world is perhaps more startling. There are currently 280 million Arabs in North Africa and the Middle East of whom fifteen percent are unemployed. There are currently 5.8 million Jews living in Israel. By 2020, it is projected this figure will increase only to 6.6 million. The absence of peace coupled with a booming Arab population, which is underemployed, is a dangerous combination. In the context of the unprecedented events of the Arab Spring, in which Arabs have risked their lives to depose dictators from Tunisia to the Persian Gulf, this new political paradigm presents Israel with a choice not between bad and worse but between wise and foolish. The Arab Spring has clearly proven that status quo policies are not only unacceptable but are also unsustainable. This fundamental groundswell has even affected nations beyond the Middle East including Russia and China, in which the former has witnessed unprecedented anti-Putin protests and the latter a rise in Tibetan self-immolation demonstrations. Although wide scale popular uprisings have thus far been absent from the West Bank or Gaza, Palestinians are technologically connected to the media and are watching events closely. As more and more citizens rebel against their governments and succeed, it may only be a matter of time before Palestinians imitate this behavior. Unilateral actions and popular resistance against Israel would place the United States in an untenable situation. An Israeli crackdown against protestors would be denounced internationally, and would make it difficult for the US to side with its long-time ally. It would be hypocritical for the US to support the aspirations of the people in the Middle East except the Palestinians. However, openly supporting Palestinian demands would undermine its relationship with Israel, and remaining neutral would upset both sides. For Israel, this would be a lose-lose scenario. If Israel responded forcefully against unarmed demonstrators, it would be condemned internationally and risk facing charges of crimes against humanity. If Israel acquiesced to protestor demands, it would be perceived as weak and Palestinians might receive certain concessions without any security considerations for Israel. In light of these realities, Israel and the PLO have attempted to reach some type of understanding during talks in Jordan last month. However, these bilateral efforts have failed, and in fact underscore a pattern of failure since the 1990s. Therefore it may perhaps be time to engage in a multilateral approach by advocating the Arab Peace Initiative (API). Launched in 2002 at an Arab League summit and ratified in 2007, the API proposes the Arab world to recognize Israel, normalize relations and terminate the state of war in return for an Israeli withdrawal to the 1967 boundaries. 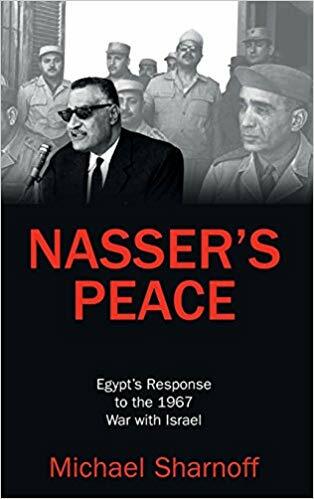 The API negates the anti-peace stance adopted at the Khartoum summit in 1967 which insisted on no negotiations with Israel, no recognition of Israel and no peace with Israel. Moreover, both sides realistically understand that any final agreement will be loosely based along these lines with mutual border modifications, whether they admit this publicly or not. Accepting the API as a framework for negotiations could achieve a real breakthrough, which would provide self-determination to Palestinians and Israel with diplomatic recognition from 57 members of the Organization of Islamic Cooperation. Some analysts insist that Israel should not be expected to negotiate during the Arab Spring with leaders whose fate remains uncertain. The opposite is true. Israel should take full advantage of the relative calm and quiet in the West Bank. There may never be a good time to resolve the conflict but it is an undeniable fact that negotiating under duress is far more difficult than during periods of tranquility. What we have now is such a period and if rocket attacks, suicide bombings or other forms of wide scale resistance resume, excuses that the time for peace is not ripe will surely surface. Moreover, in such a rapidly changing Middle East with political Islam dominating in the ballot box, the API’s viability remains uncertain. Former Jordanian Foreign Minister Marwan Muasher – who was instrumental in promoting the API – warned that the ten-year-old peace proposal does have a shelf life, and if Israel does not act soon, it may not be available. While no grand, comprehensive solution is expected to be reached anytime soon, failing to maintain a dialogue will have devastating consequences. If bilateral talks continue to fail, Israel should explore the novel multilateral approach advocated by the API.